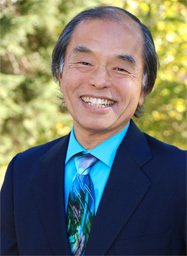 Michael Tamura lives the miracle: Spiritually aware from childhood, he sees everyone the way they are – as immortal souls. To guide thousands to their healing, awakening, and true life purpose, he draws from years of intensive training, profound past-life recall, nightly out-of-body sojourns, four decades of teaching and giving clairvoyant counseling, and a lifetime of extraordinary experiences, including having physically died three times in full consciousness. Born and raised in Japan, yet educated in American schools, Michael has spent a lifetime bridging gaps: Not only between East and West, but between men and women, the young and old, heart and soul, life and the afterlife – and, above all, between humanity and Divinity. He is beloved around the world as a spiritual teacher, clairvoyant visionary, and pioneer of healing and psychic development. He has been featured on CNN, NBC’s The Leeza Show, The New Ricki Lake Show, Bridging Heaven & Earth, Gaiam TV, The Aware Show, Hay House Radio, and many other media programs. He was also included in ABCNews’ The Century: America’s Time with Peter Jennings. Currently in production is a documentary film featuring Michael and his three profound death experiences. A champion for soul-centered education, healing, and parenting of children, Michael appeared as a guest expert in the film, The Indigo Evolution. As a pioneer in the field of spiritual healing and psychic development, his insightful articles have been published in magazines internationally. He also wrote the final chapter, “Nourishing the Soul of the Psychic Child” in James Twyman’s book, Messages From Thomas: Raising Psychic Children as well as the first chapter in Susan Suntree’s anthology, The Wisdom of the East. Other pioneers in education and healing of children as well as those forging the path for soul awareness and psychic development often seek out Michael’s insights and wisdom. Today, the award-winning author of YOU ARE THE ANSWER, is working on his latest book, THREE TIMES DEAD and What It Taught Me: A Journey Into the Heart of Wisdom, as he continues to provide psychic tools and spiritual practices to illuminate the way home for awakening souls. His teachings are offered through his acclaimed seminars, teleclass courses, writing, media appearances, special events, and audio products. For Michael, every step in life offers a golden opportunity for healing, miracles, and the fulfillment of one’s divine purpose.